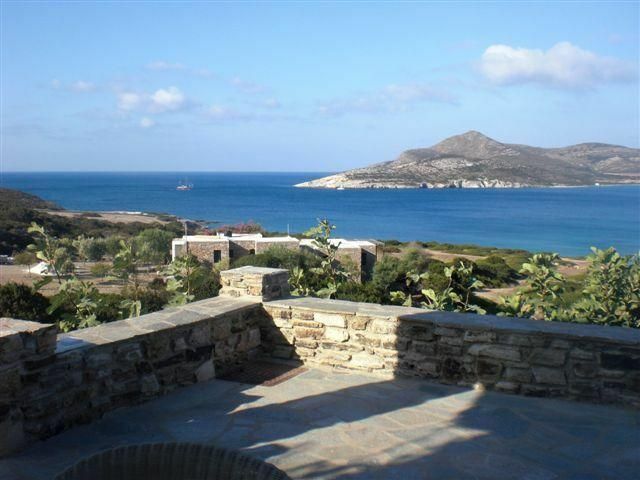 Villa sunset is situated on a hill that overlooks the bay of Agios Georgios and Despotiko island. 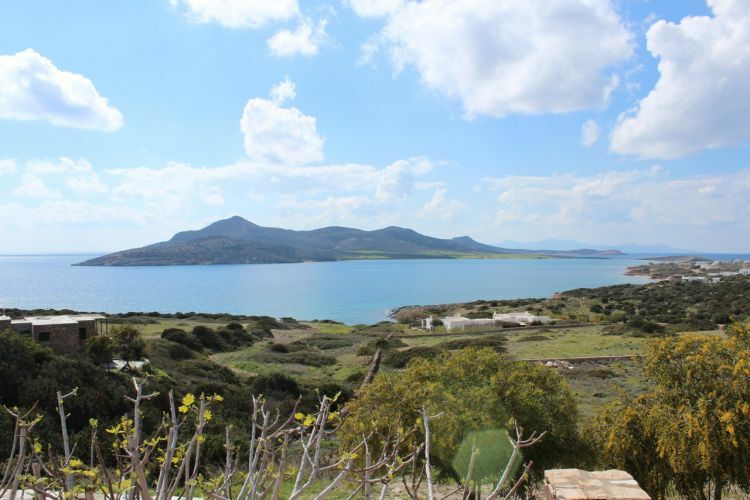 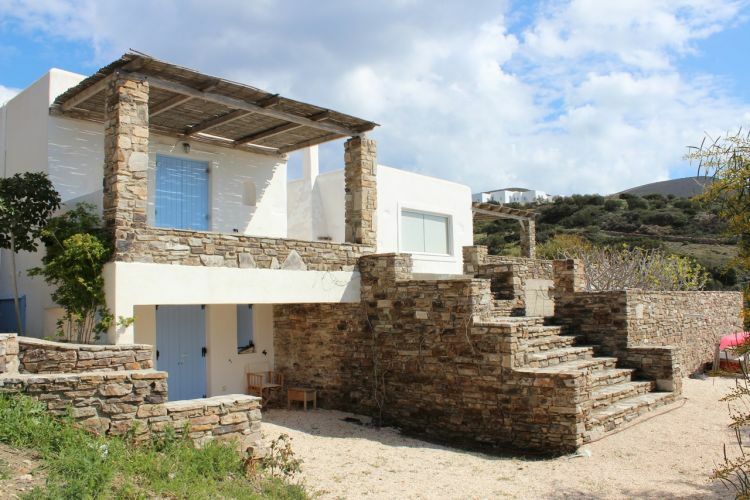 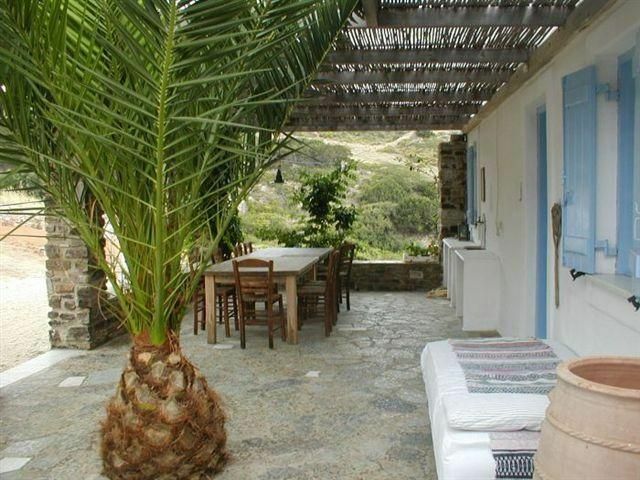 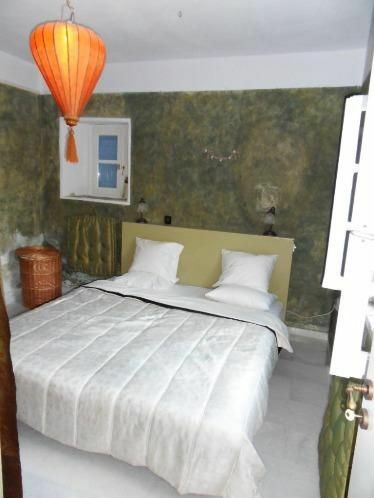 The property benefits from breathtaking views and the island of Sifnos can be seen on a clear day.The orientation is south west. 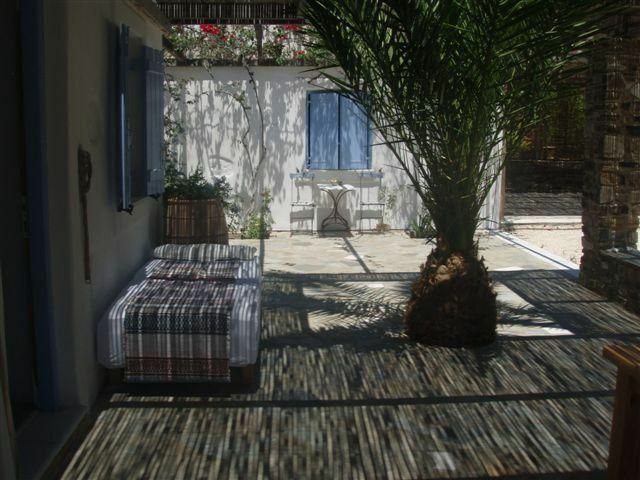 The house, a classic Cycladic structure, is surrounded by a beautiful mediterranean garden with olive trees and bougainvillea climbing plants all round. 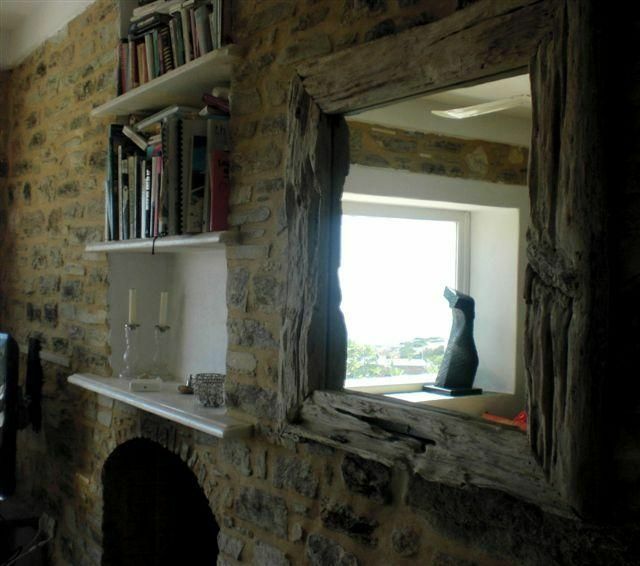 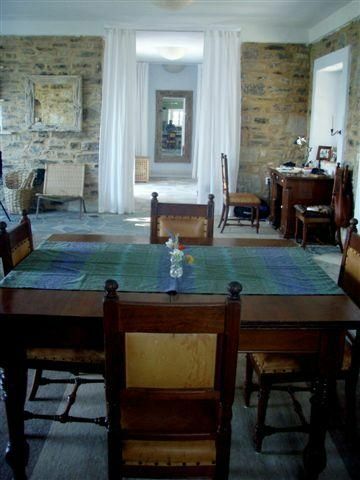 The interior of the house is decorated with eclectic artefacts that can be found hanging on the stone walls. 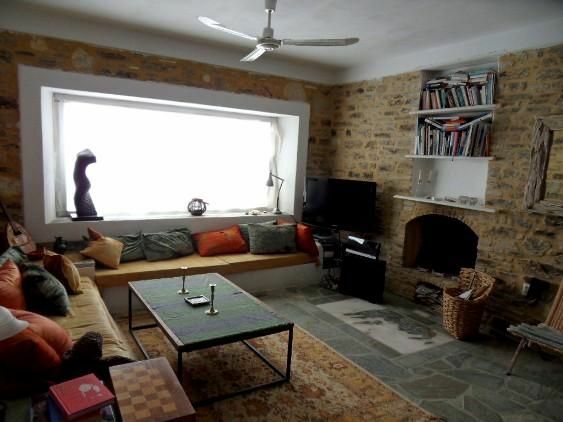 The colour palette inside reflects the colours of the surrounding landscape outside. 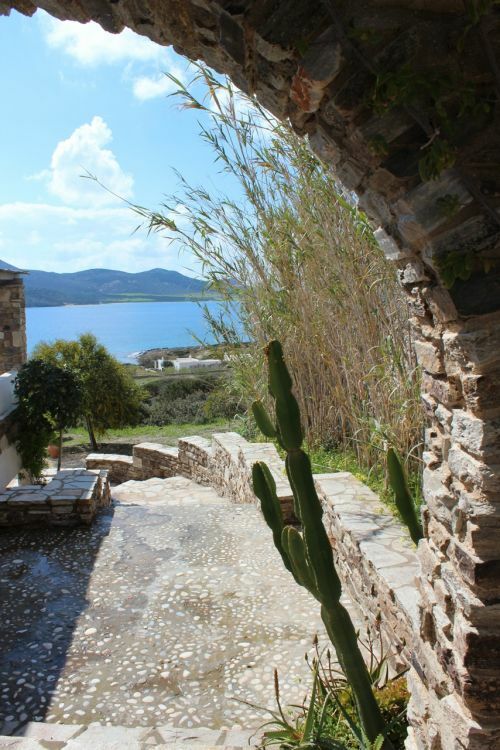 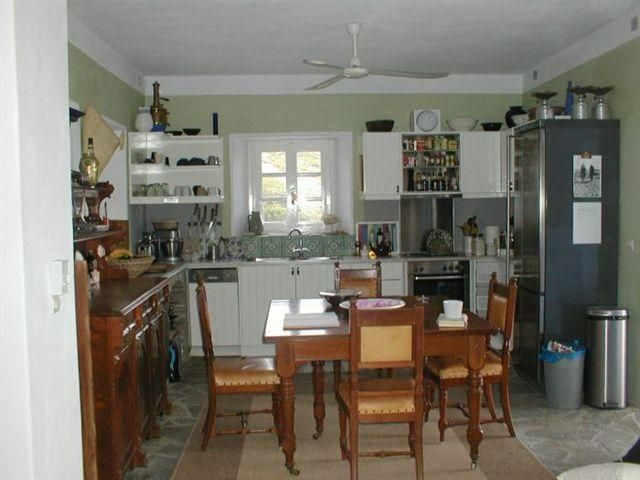 Earthy colours such as olive green, beige and the grey stone floor make it a real mediterranean summer home. 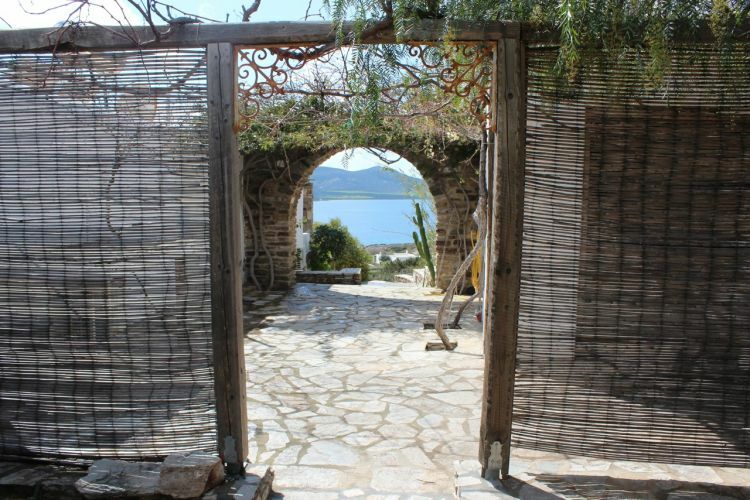 The huge outdoor terrace has a pergola and a comfortable seating area where one can sit back and enjoy the panoramic view of Agios Georgios and Despotiko island.